In a sense, it’s just an app for keeping documents in one place: little notes, to-do lists, basic spreadsheets, etc. 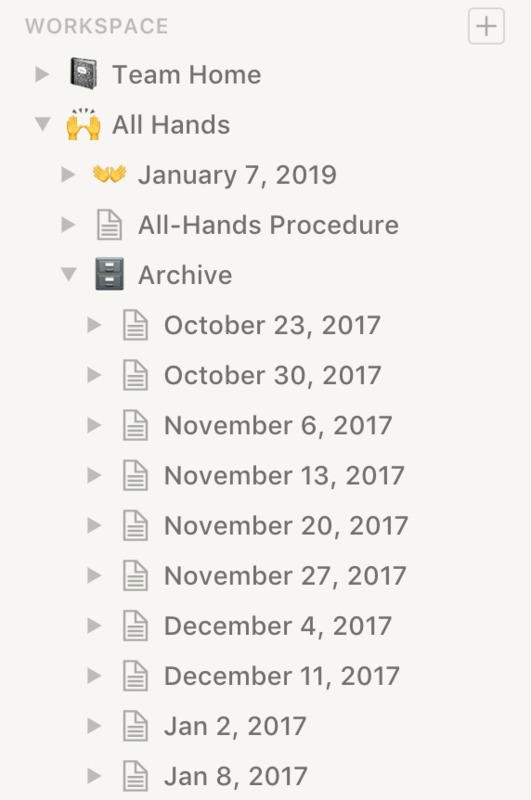 I like the native macOS Notes app just fine. 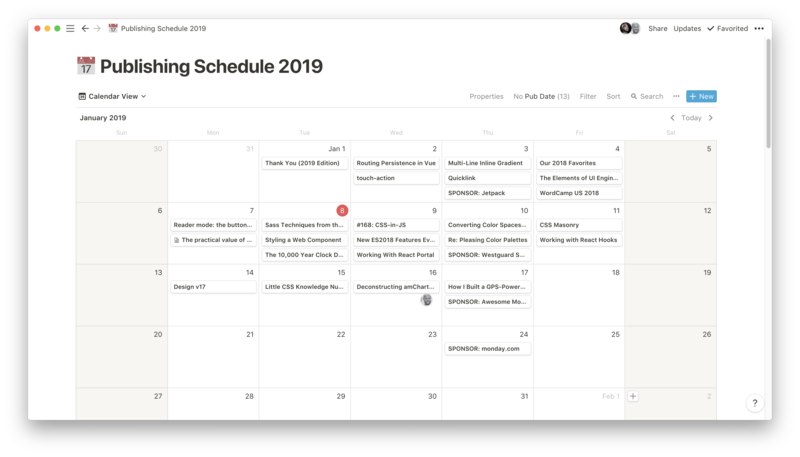 It’s quick and easy, it’s desktop and mobile, it syncs… but there are enough limitations that I wanted something better. Plus, I wanted something team-based and web-friendly (shared URLs!) and Notion hits those nails on the head. Here’s a bunch of ways to use Notion as well as some scattered random notes and ideas about it. The word “workspace” almost makes it seem like you could or should use them as your top-level organization structure within a team. Like different projects would use different workspaces. But I’d say: don’t do that. Workspaces are teams, even if it’s a party of you and only you. Pricing is billed by workspace. 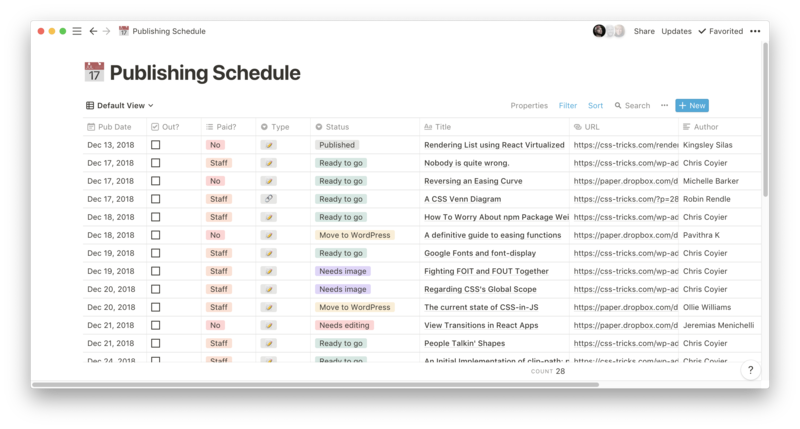 Team members are organized by workspace. Search is scoped by workspace. Switching workspaces isn’t too difficult, but it’s not lightning fast, either. I’d say it’s worth honoring those walls and keeping workspaces to a minimum. It’s almost like Slack. It’s easy to get Too-Many-Slack’d, so best to avoid getting Too-Many-Notion’d. 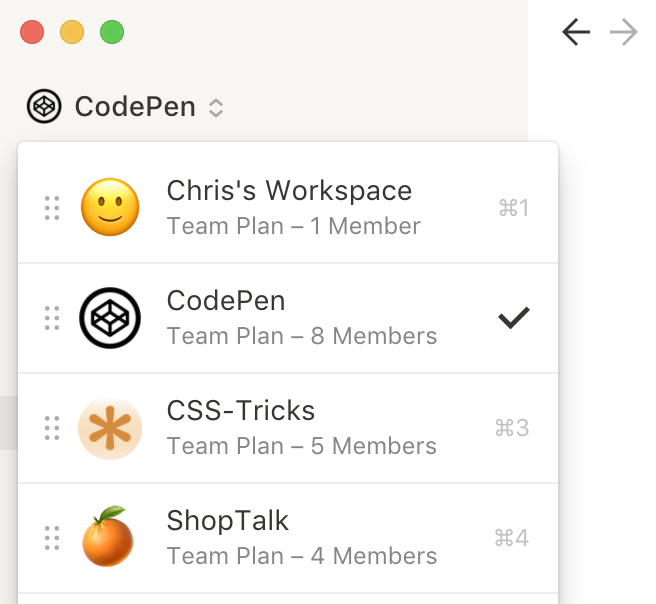 We have a weekly all-hands meeting at CodePen where we lay out what we’ve done and what we’re going to do. It’s nice to have that as a document so it can include links, notes, comments, embeds, etc. Those notes don’t disappear next week — we archive them as a historical record of everything we do. This might be the easiest selling point for Notion. I’m sure a lot of companies have a whole bunch of documents that get into how the company works, including employee databases, coding guidelines, deployment procedures, dashboards to other software, etc. Sometimes that works as a wiki, but I’ve never seen a lovely setup for this kind of thing. 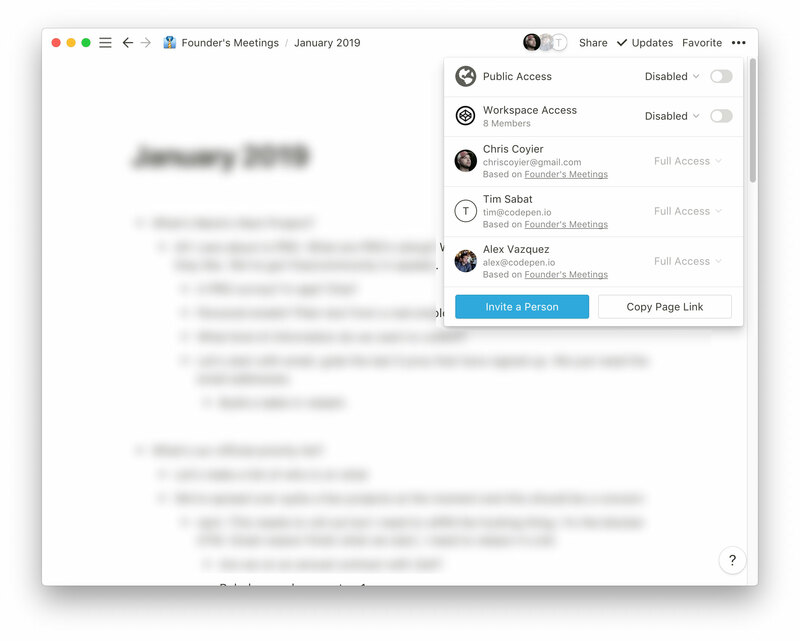 Notion works fantastically as a collaborative knowledge base. I can make a document public, and even open it to public comments with the flip of a switch. 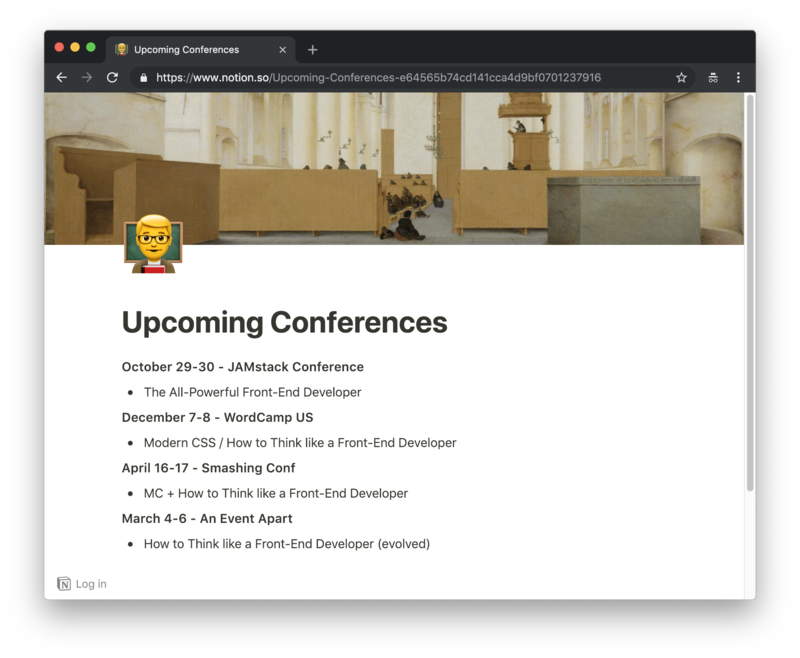 Another super fun thing in Notion is applying a header image and emoji, which gives each document a lot of personality. It’s done in a way that can’t really be screwed up and made into a gross-looking document. 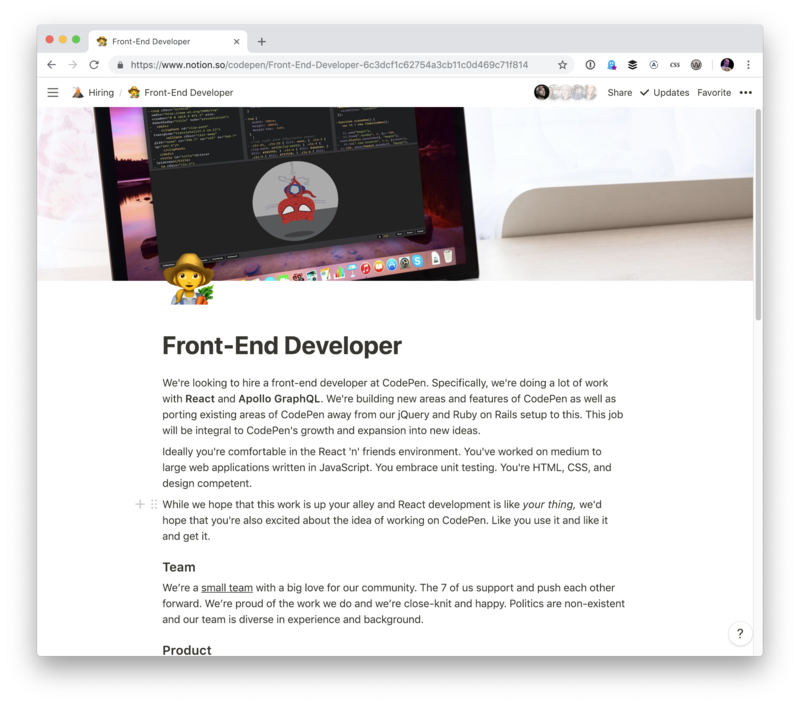 Here’s an example where I’ve customized the page header — and look at the public URL! 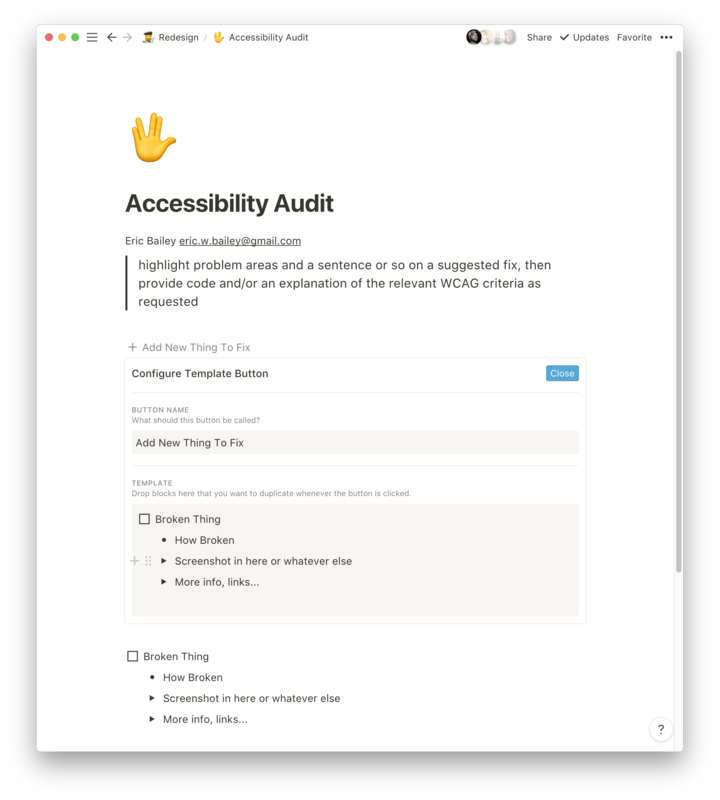 It’s also great for things like public accessibility audits where people can be sent to a public page to see what kinds of things are being worked on with the ability to comment on items. Any document can be shared. I can create a quick document and share it with a particular person easily. That could be a private document shared only with team members, or with someone totally outside the team. Or I can make the document publicly visible to all. 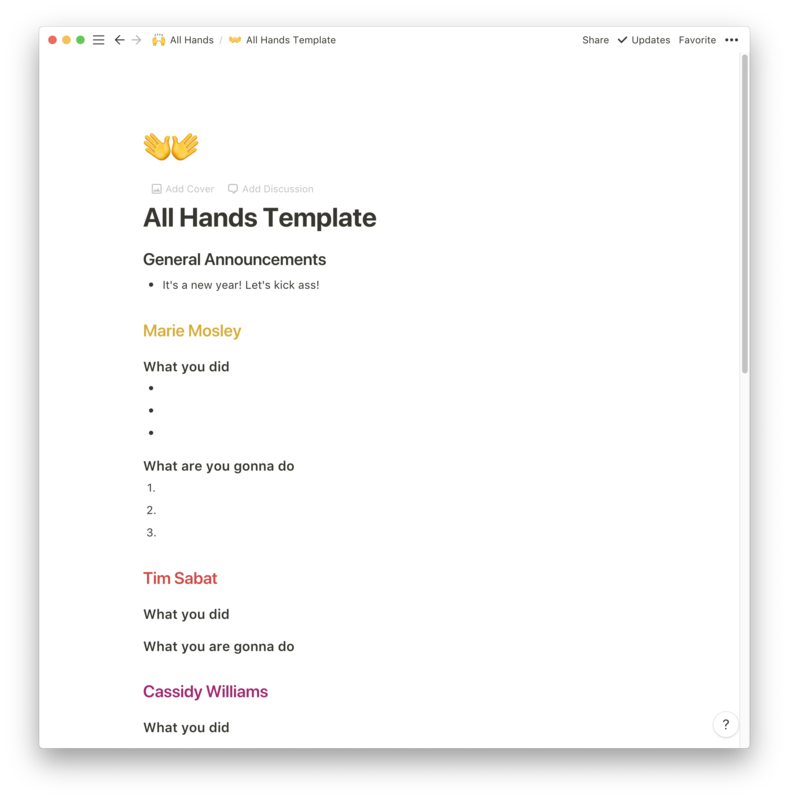 I use Notion to create pages to present possibilities with potential sponsorship partners, then morph that into a document to keep track of everything we’re doing together. We use a show calendar for ShopTalk episodes. Each show added to the calendar automatically creates a page that we use as collaborative show notes with our guests. It’s worth noting that a Notion account is required to edit a document. So anyone that’s invited will have to register and be logged in. Plus, you’ll need to share it with the correct email address so that person can associate their account with that address. 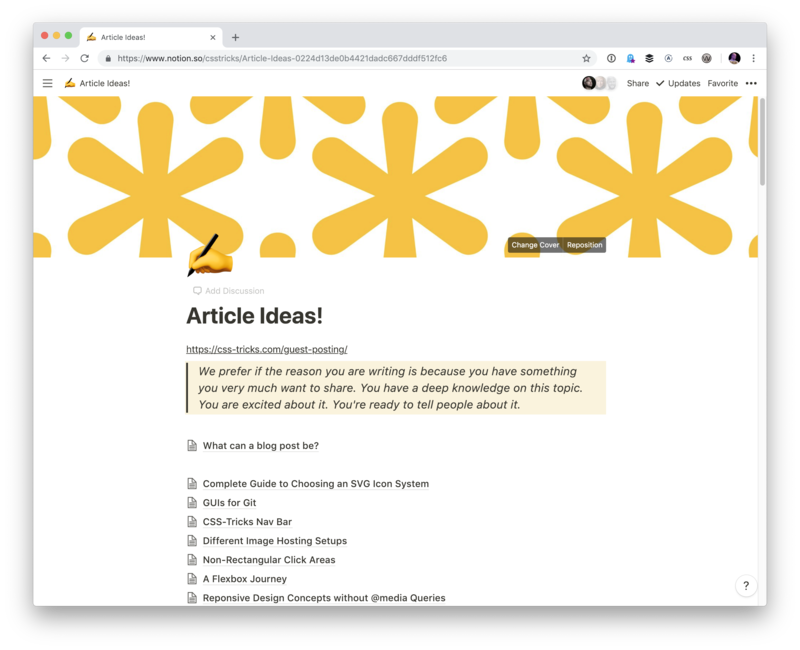 I’ve been trying to keep all my blog post drafts in Notion. That way, they can easily be shared individually and I can browse all the collected ideas at once. Notion is simply documents with interesting blocks. Simple, but brilliant. 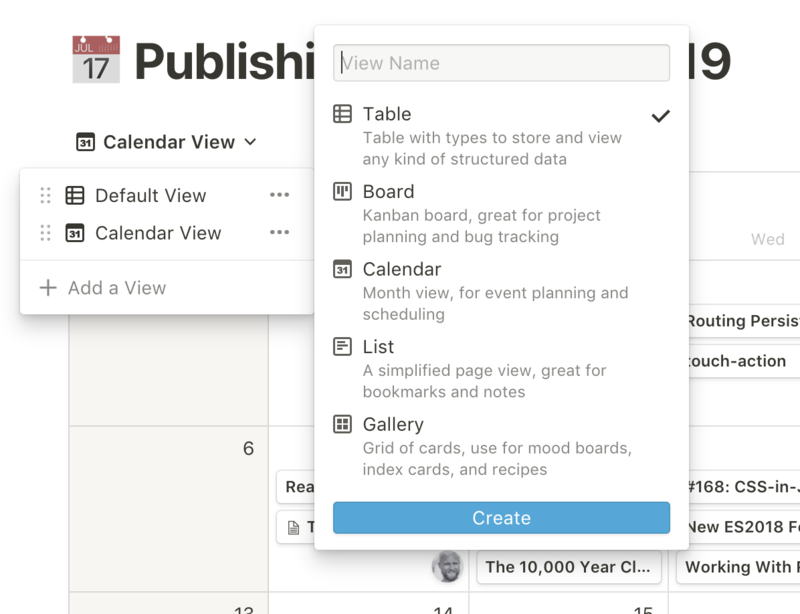 For me, it can replace and consolidate things like Trello and other kanban tools, lightweight project management platforms, GitHub issues (if you don’t need the public-ness), wikis, Google Docs and Spreadsheets, and even simple one-off public websites. Here’s a website dedicated to other people’s interesting Notion pages. 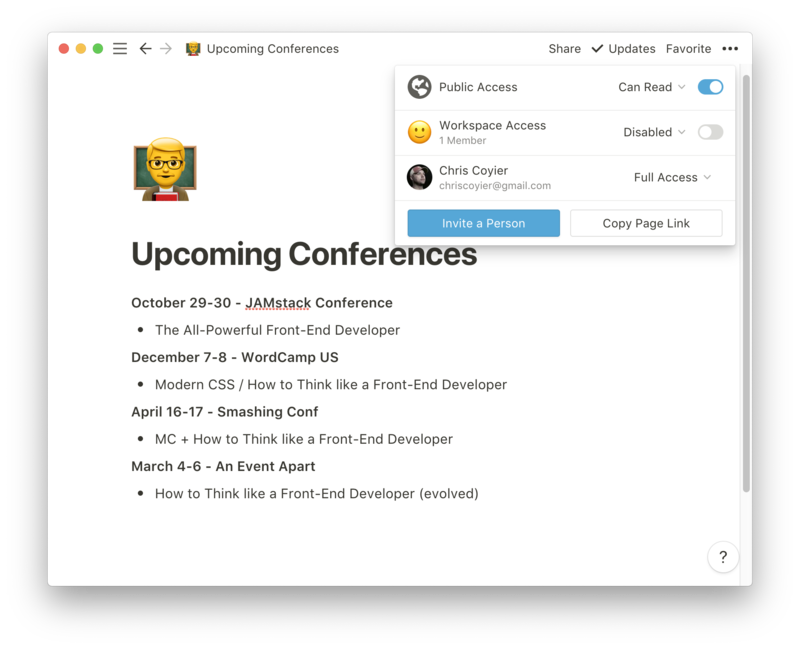 I’d love to see Notion’s web app links open in their desktop app instead of the web. I prefer the app because I have plenty of browser tabs open as it is. It’s gotta be possible to do this with a browser extension. 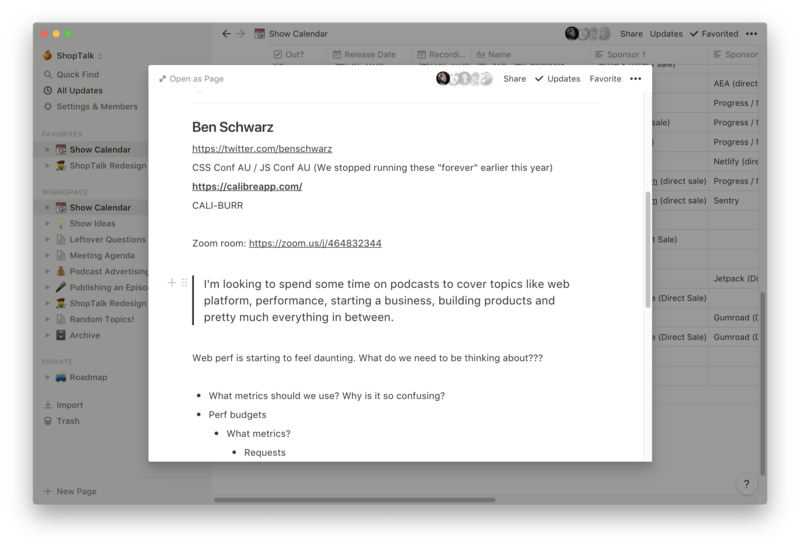 There used to be “Paws” for Trello and there was a browser extension that would open Trello links in that app, so there is prior precedent out there. 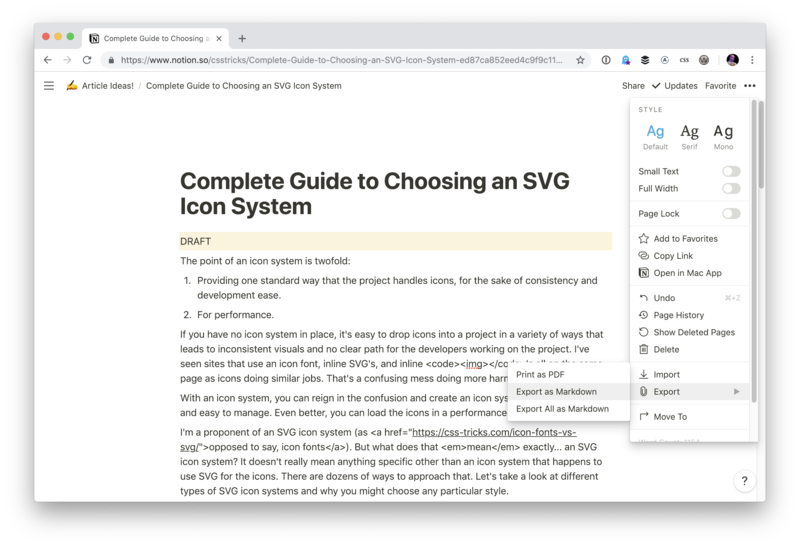 I’d also like Notion to explore a tabs feature. I constantly need more than one document open at a time and right now the only way to do that is with multiple windows. There is some back-and-forth arrow action that’s possible, but it would be interesting to see native tabs or native window splitting somehow. I’d love to see some performance upgrades too. 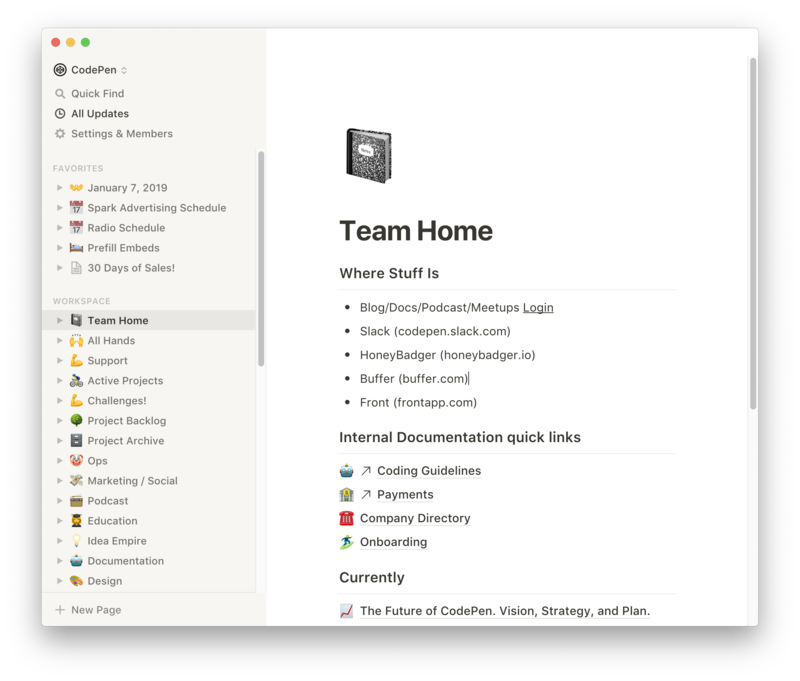 It’s not terribly bad, but working in Notion is so ubiquitous and important in my day-to-day that I’d love for it to feel more instantaneous than it currently does. 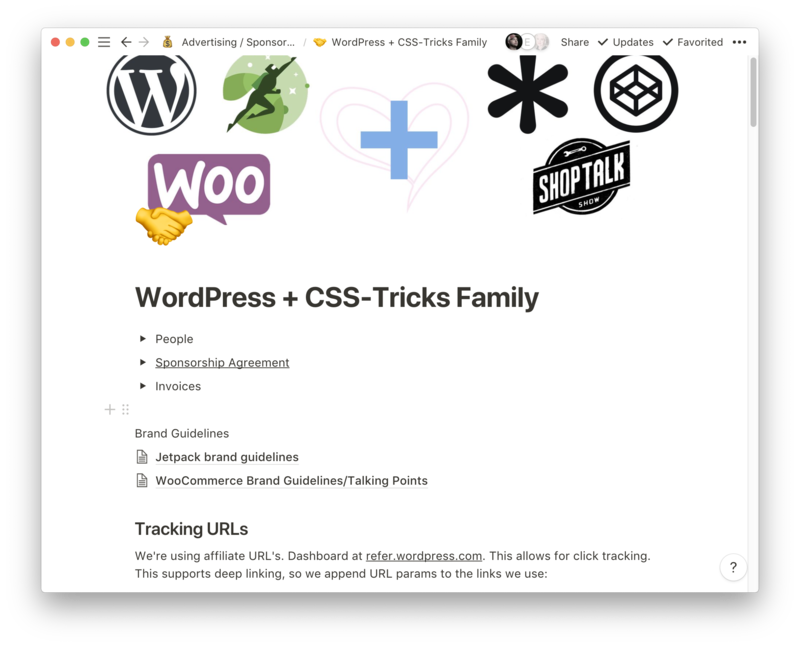 The post How I’ve Been Using Notion Personally and Professionally appeared first on CSS-Tricks.